Pomegranate (anar) seeds how to remove them. Did you ever think why you are eating juicy pomegranate seed. They are not only tasty but also delicious. But you all know that pomegranate seeds have lots of health benefits. 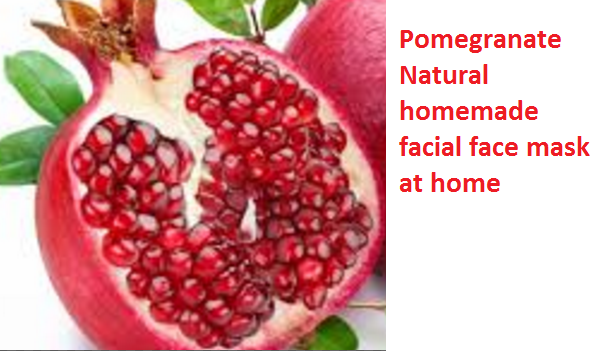 Pomegranate do a lots of wonders for your skin also. Yes i am telling you about pomegranate face mask in this topic. 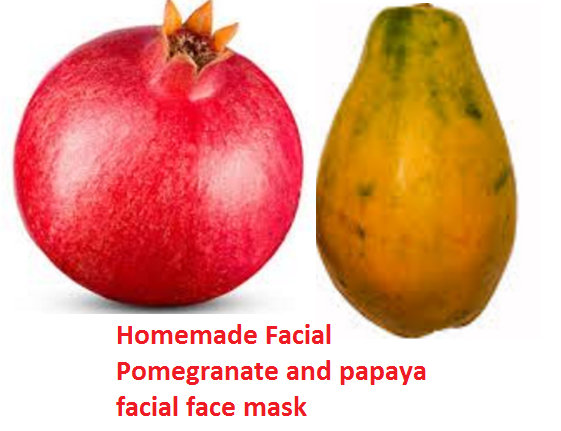 Are you interested in knowing more about pomegranate face mask and how to prepare pomegranate face mask at home? Pomegranate Fruit Gives a lots of health benefits because of it antioxidants present in it. Pomegranate not only destroy the free radicals but they also have anti-aging properties. We can say to Unseen ( not so Visible) wrinkles, age spots and fine lines. Pomegranate Has a lots of antioxidants along with vitamins like A and Vitamin C. Vitamin C is highly Very helpful when it comes to improve the skin natural texture. Pomegranate fruit will brighten your complexion and also whitens the skin. Pomegranate adds a beautiful glow to your face since Pomegranate is rich in nutrients which Production of cell and thus skin marks, blemishes and spots will be Recovered very soon. 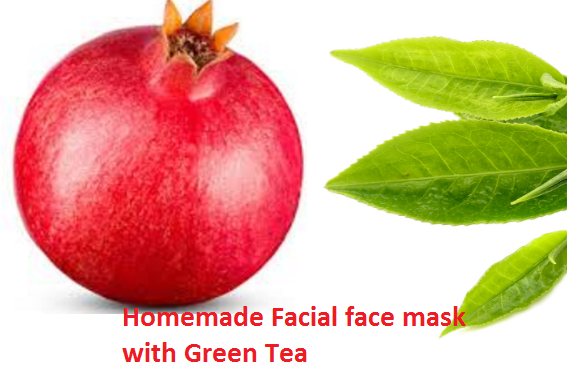 You also can enjoy the skin benefits of pomegranate by preparing Natural (organic) homemade pomegranate facial face mask at home. Pomegranate face mask will make your skin brighter and shiny. 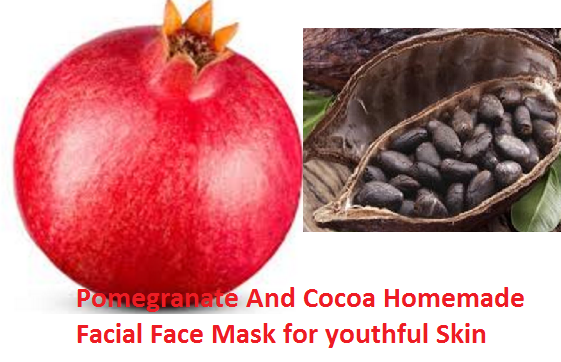 Pomegranate face mask are skin rejuvenating which will make the skin glow and appear glowy. Pomegranate is rich in antioxidants which fight against the free radicals which causes the oxidative impact of the cells. Vitamin A, C and K in pomegranate fruit juice improves the skin health and firmness. 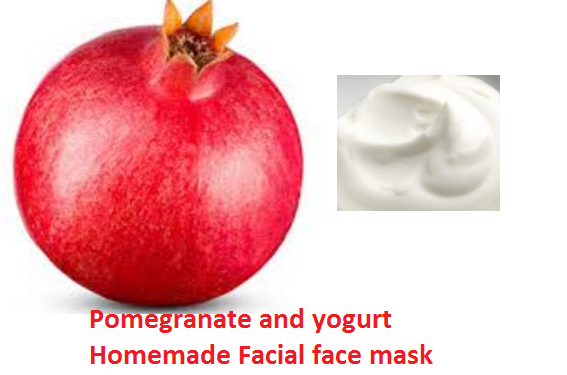 Homemade Facial Pomegranate Face Mask and pack can cure or treat spots, acne marks and sun damage of the face. The nutrients present in pomegranate fruit and the Alpha Hydroxy Acids increases the cell renewal rate and make the skin look acne free and flawless. Pomegranate Fruit also makes the skin youthful and younger looking. 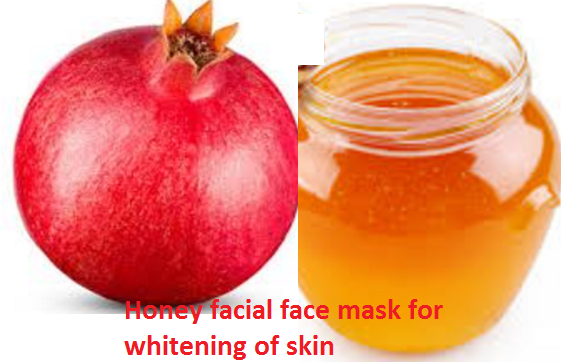 To make Pomegranate and Honey facial mask take Take 1 tsp of pomegranate fruit juice and add 1 tsp (Tablespoon) of honey. With this lotion of pomegranate and honey we must massage the face with very gently. After massaging for two to four minutes. Leave the mask for 20 minutes and then wash the face. This will whiten the skin will give a glowing skin on your face. Both these ingredients pomegranate and green tea are loaded with antioxidants. anti oxidants help in rejuvenating our skin making it look fairer. Make a paste of a few pomegranate seeds and add a tablespoon of yogurt to it. mix these two ingredients well and add 1 tablespoon of freshly made green tea. Finally add a tablespoon of honey to this paste. Apply this paste all over your face and neck and let it sit there for 30 minutes. later wash your face with cold water to get fairer and radiant skin. This face mask also helps to protect your skin from acne. If you have been in the sun for a very long time your skin tends to get tanned. Use this face mask to get rid of the tan and revive your dull and tired skin. take some pomegranate paste and add a tablespoon of yogurt. Mix these two ingredients well and apply it to your face and neck. let it sit on your face for 20 minutes and wash with cold water. 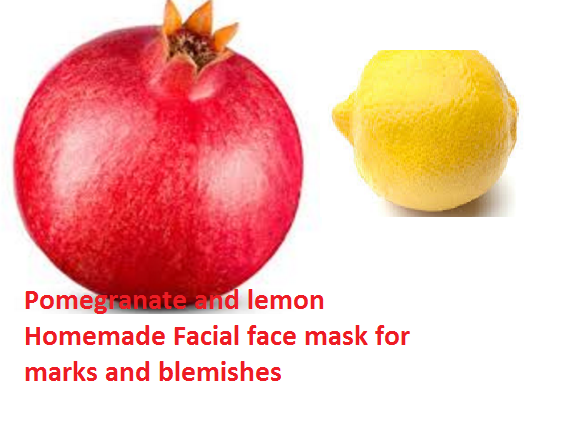 If you are having trouble with dark spots, brown spots, black marks and acne marks on your face then this pomegranate and lemon face mask is the right choice for you. Loaded with vitamin C it gets rid of all such skin problems leaving you with a refreshed and glowing skin. Mix a teaspoon of pomegranate juice with 2 teaspoons of lemon juice. apply this mixture on your face and neck and softly massage it with the tip of your fingers for a minute. let it sit on your face for atleast 20 minutes and then rinse your face with cold water. Cocoa and pomegranate are both rich in antioxidants. This facial mask will rejuvenate your skin cells and give you healthy and youthful skin. take 2 tablespoons of pomegranate paste add 1/2 a teaspoon of cocoa powder to it. Mix these two well and apply it on your face and neck. let the face pack be on your face for 25 minutes and then wash it with cold water to get healthy, glowing and youthful skin.